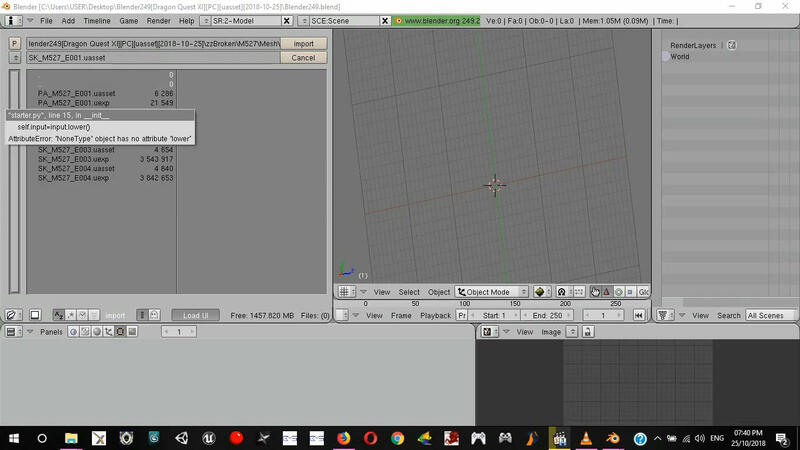 Blender importer for human and monsters. Unpack archive, doubleclick on file "Blender249.blend" , press alt+p in Blender Text Window and import .uasset. 1. Hey did you extracted the .uasset first with Umodel so you get an .psk file? Or is it purly the .uasset itself? 2. Can we import animations with your script? 3. Where do I need the python program for? Umodel exports only textures. Skeletonmesh is not extracted to psk. is that possible to get animation works? I'm not sure, but bone rotation use quaternions compressed as 4 * int8 - 4 bytes (x,y,z,w) for each key. I'm not good for shifts in bits , so give up. The lack of interest over on Gildor's forums and modding in general outside of the orchestral music mod had me thinking this game wouldn't have model support. So I wanted to give a big thank you to Szkaradek123 for the tool. It works great and there's only a couple minor fixes needed for the models. It works well. 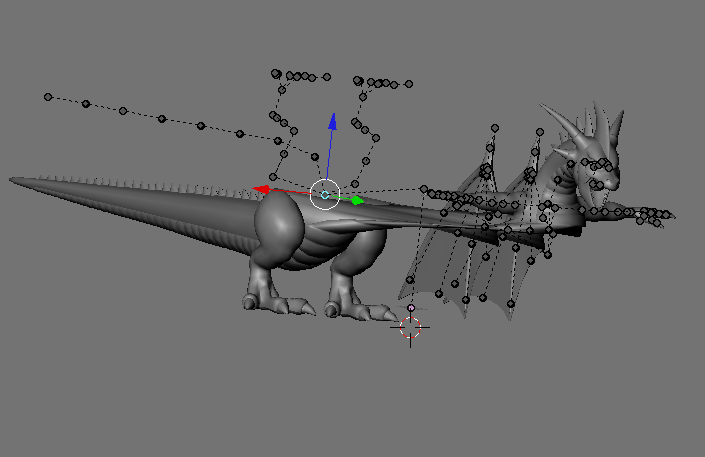 I have run into two monsters so far though that extract the skeleton correctly and what i assume is the correct poly count but they all have a position of zero. I forget the number of one of the monsters but M501 is doing it. Any update on props as well? some weapon models should look real nice when rendered . Keep up the good work. edit: seems monster 526 has his hip flipped when read. Easily fixable manually but i figured i should report it all the same . I moved the top half for the sake of a better view. -fixed bones and vertex format. I'm not sure from what depends vertex block so only quess . Bones are correct now but a little unnormal. Last edited by Szkaradek123 on Fri Oct 26, 2018 6:29 am, edited 1 time in total. Will this also work on the environment assets? Gildor's Umodel doesn't export maps for other games , so it must be to complex and hard to reversing. Gildor's Umodel doesn't export maps for other games , so it must be too complex and hard to reversing. I don't mean the maps, I mean the environment assets, they're just static meshes and skeletal meshes, format wise they're no different to anything else. The actual map assets, like the level file itself, or the terrain, certainly wouldn't work. But Gilders tool supports environment assets, so long as they're static meshes or skeletal meshes, as the format is the same, they're just placed inside a level. Do you think you'd be able to add support for standard static meshes? When I click import nothing loads. Log doesn't show any errors. Meshes for this model are in "..\Characters\Monster\M510\Mesh"
s_m510.uasset has no meshes. Propably it is info file. I get this error when trying to load adult Veronica's face mesh. It's in the 'characters/human/P009' directory. I haven't extensively tested but it's the only one with the issue so far. Derp. I grabbed the update from the 25th but not the 26th. Thanks. Notcing an issue with both umodel and this script with some textures. The textures are partially exporting as transparent. Currently on Monster 104 a few other monsters also display this behaviour. Trying to export the texture from blender results in a 1kb file that has nothing in it. Blender in this version does not save images in the dds format. When saving, select the format from the menu. Hi, thanks for the script, working well! Bones are ok, texture/UVs too but the mesh is ... weird ... like broken. I tried with v22/25/26 of the script, same issue. And also tried to "unpack" the .pak file again with another version of DQXI quickbms, same issue. Did i miss something or the model itself is "broken" maybe?